The most economical class of travel. 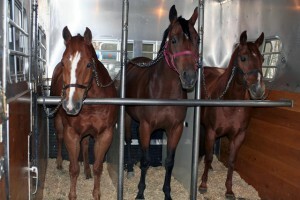 Horses travel divided by a partition, 3 abreast and are cross tied to keep them secure. 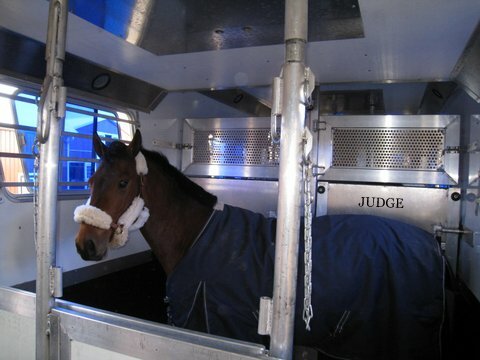 This stall is one third the width of the trailer/van. 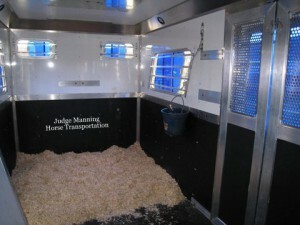 This stall provides comfortable space in a standing stall. 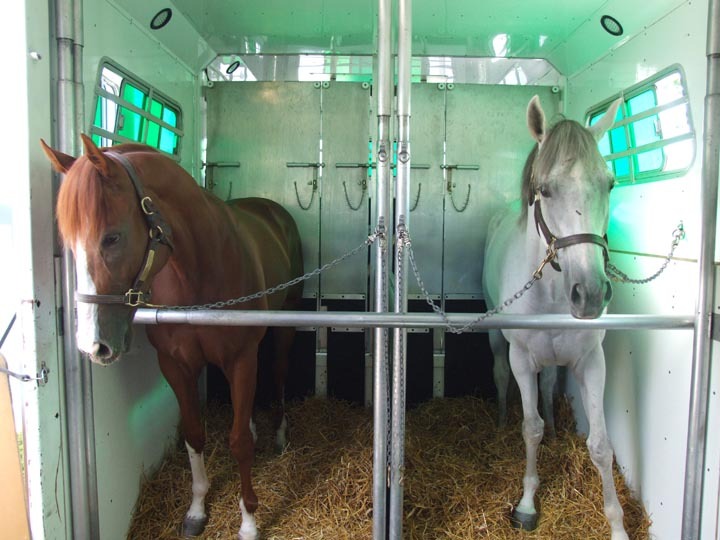 Horses travel divided by a partition, 2 abreast and cross tied. 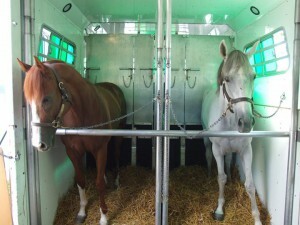 This stall is half the width of the trailer/van. 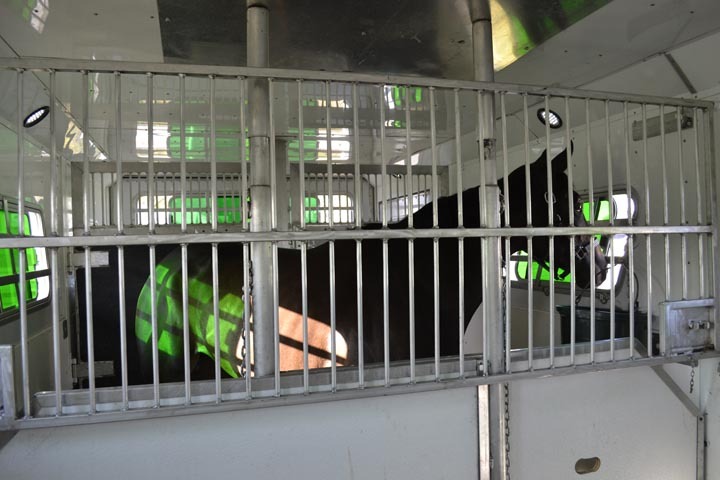 This is the premier and most recommended way to transport your horse. 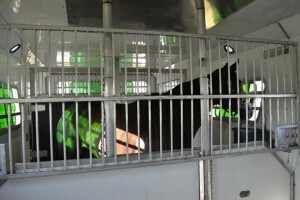 It allows your horse to move around their stall freely and gives them the ability to keep their lungs clear. 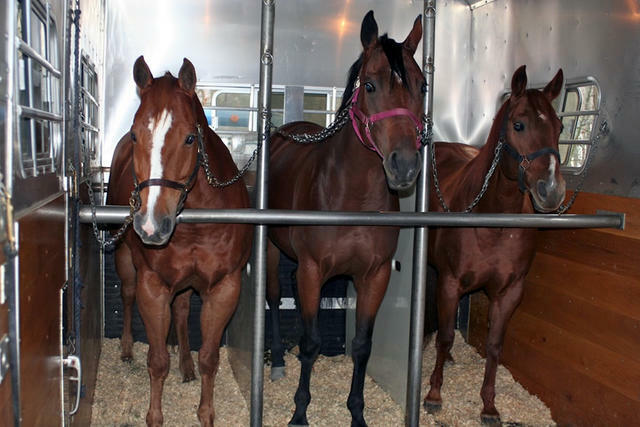 This is the only way to transport a mare and foal or a horse that has never been cross tied. This stall is the entire width of the trailer/van.